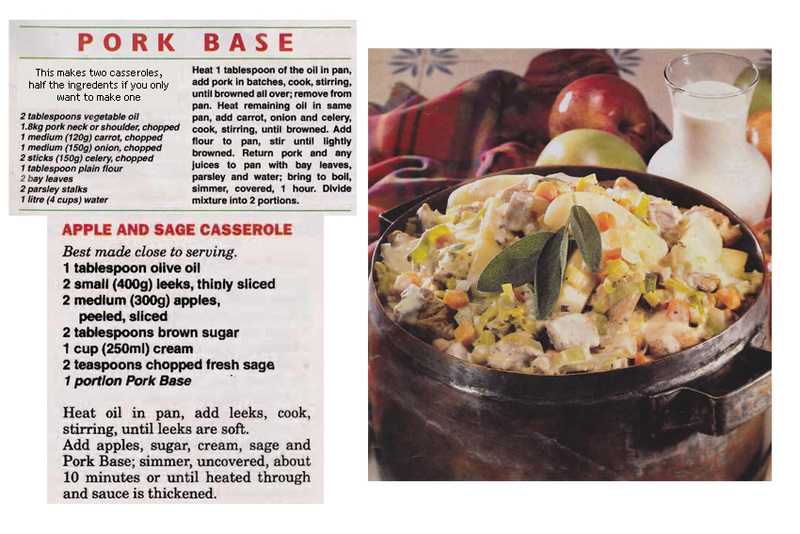 Vegetarian recipes weren’t something Mum would have been looking for on the pages of the Herald Sun. 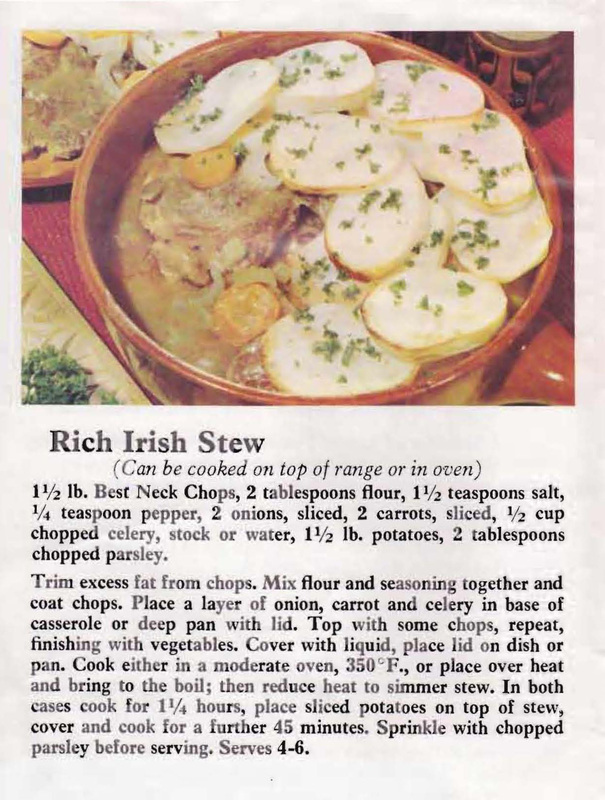 Growing up I can’t remember anyone among our family or friends who didn’t eat meat, so cooking vegetable only dishes just wasn’t necessary. 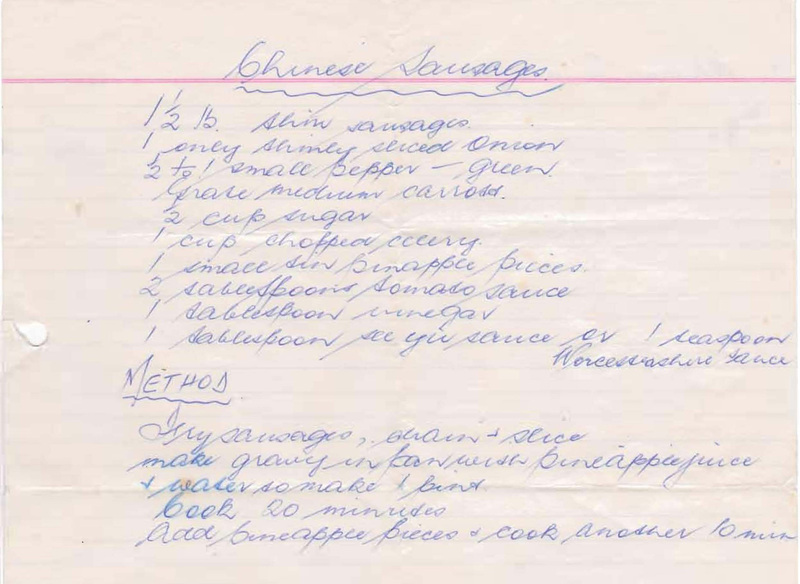 This recipe is on a page Mum kept from the paper that had pork, lamb, sausage and fish casseroles on it, so the recipes were around, they just weren’t something Mum made. 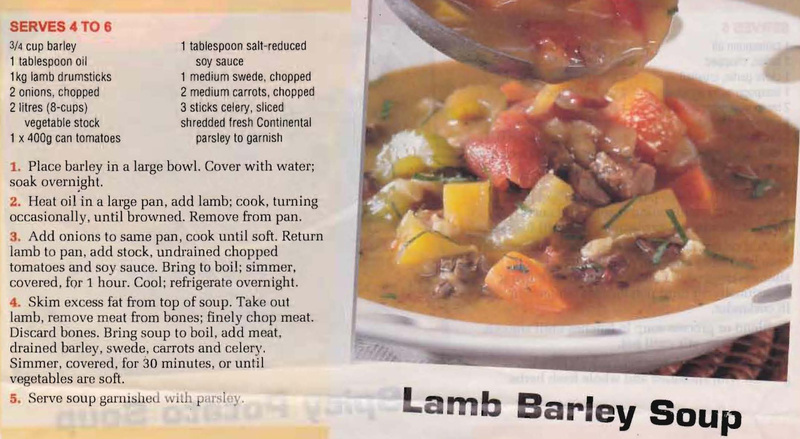 This recipe was published by the Australian Meat Board to promote lamb and Mum would have picked the leaflet up from the counter at her local butcher’s shop. 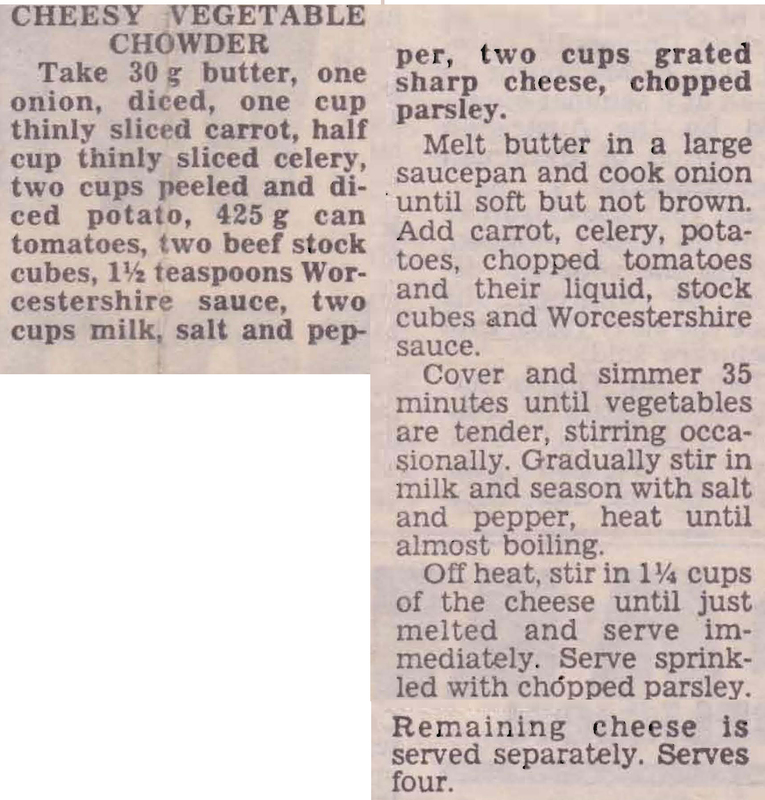 It’s a recipe I’ve cooked a lot over the years and still do. 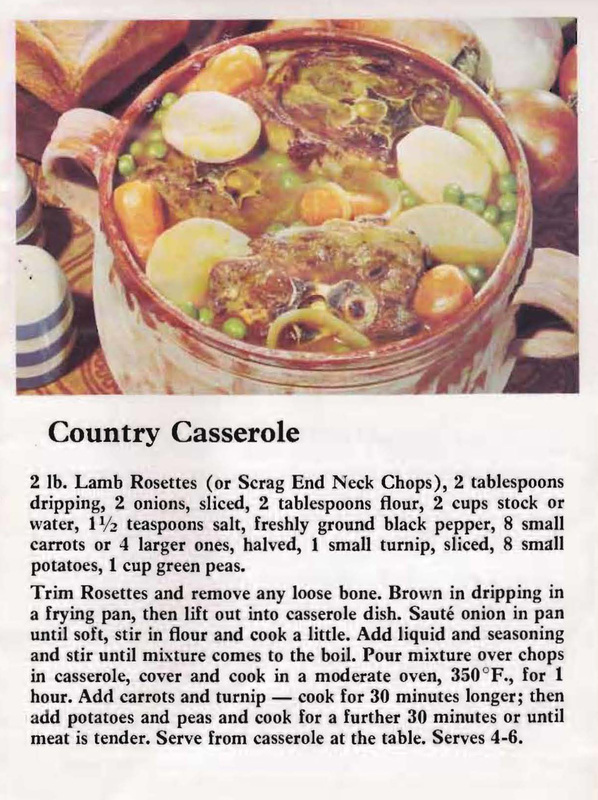 You can’t beat a lamb casserole on a cold winter’s night can you?